Dextromethorphan (DXM) is a medication that is available over-the-counter as a cough suppressant. It is combined with other medications in numerous cold and cough treatments formulated with various decongestants, antihistamines, analgesics, and expectorants. When used as directed, the medication’s antitussive effects can last for about 5 to 6 hours 2. When people use the medication in a way other than directed, it is referred to as dextromethorphan abuse. DXM’s wide availability over-the-counter and through online distribution. Online videos and information explaining methods and measures to abuse DXM. Although people of all ages abuse DXM, it is most common amongst teenagers and young adults 2. DXM is found commonly as a liquid or pill with powdered versions being available through online sellers 2. Whatever the form, the user greatly exceeds the recommended dose to achieve their desired results. The effects of DXM will vary depending on the dose consumed. Between 100 and 200 mg, the user will experience stimulation with increased energy and concentration. Between 200 and 400 mg, the user will likely experience euphoria and hallucinations. Between 300 and 600 mg, the user may experience visual disturbances and reduced coordination. Between 500 and 1500 mg, the user may experience a strong sedation with dissociation, which means they may feel disconnected or separated from themselves or reality. When taken in such a high dose, dextromethorphan acts on the same receptors in the brain that ketamine and PCP do, which is why dissociative effects are common 1. As a reference, the standard dosing is between 10 and 30 mg, which means that people abusing the substance will consume anywhere from 10 to 150 times more DXM than recommended 3. Though DXM may be less potent than other abused substances like heroin or cocaine, DXM can be addictive when taken at repeatedly high doses. Once someone is addicted to dextromethorphan, it can be difficult to quit without professional detox treatment and rehab. If you or someone you care about suffers from an addiction to DXM, help is available. You don’t have to work through this alone. Addiction: The compulsive desire to use DXM despite negative consequences. Tolerance: The body requires increased doses to experience desired effects. Dependence: The body requires the presence of DXM in order to function at an optimal level. People that use DXM at higher doses, with increased frequency, and for extended periods of time will be more likely to have severe and persistent withdrawal symptoms than those using lower doses for a shorter period of time. People using other substances, such as alcohol, with DXM will have an increased risk of experiencing negative health consequences 2. DXM that is used in standard dosing will remain effective for 5 to 6 hours 2. Doses that are above the recommendation, used more frequently than four times per day, or continue for long stretches will stay present in the body for longer periods, which delays withdrawal symptoms. 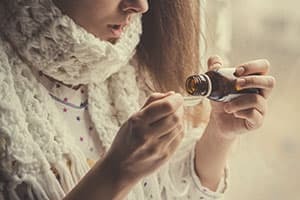 It is reasonable to consider that other people with a dextromethorphan addiction will have drastically different experiences based on their body’s ability to process the drug, the amount of DXM used, the length of abuse, and whether other drugs were used. Using DXM with monoamine oxidase inhibitors (MAOIs) or selective serotonin reuptake inhibitors (SSRIs) could extend the discomfort and lengthen the detox process due to their ability to modify amounts of serotonin in the brain 5. Chronic dextromethorphan abuse can also lead to a number of detrimental consequences on your physical and mental health. Professional detox will allow your body to eliminate DXM while receiving care and support. The choice to seek professional detox for DXM is not a simple one. On the one hand, the drug has a lower risk of dependence and withdrawal symptoms than many other drugs of abuse. However, dextromethorphan addiction can still cause distress and significantly impair a user’s ability to function. Using DXM in higher doses or for longer periods of time than intended. Experiencing several failed attempts to cut down or quit using DXM. Spending an inordinate amount of time attempting to obtain and use DXM, as well as recover from its effects. Having strong cravings to use DXM. Continuing DXM use despite failing to meet work, school, or home responsibilities. Abandoning important recreational or social activities in favor of DXM use. Continuing DXM use despite interpersonal or social problems resulting from use. Using DXM in dangerous situations, such as while driving. Continuing DXM use despite physical or psychological ailments resulting from use. Distorted perceptions of time and space. Acidosis (or, low blood pH). Other negative effects can be triggered by the substances that DXM is combined with like liver damage from acetaminophen and cardiovascular problems from antihistamines 2. People that have preexisting mental health conditions like anxiety, panic disorder, or schizophrenia will benefit more from professional detox programs than others. Additionally, people that abuse DXM over time are at risk of toxic psychosis 3. This condition causes a break from reality for the user where they will experience the dissociative effects of DXM even when the substance is not actively in the body. Professional detox treatment can help manage the impact on mental health since DXM intoxication and withdrawal can cause psychological complications. Providing medical and psychological care. 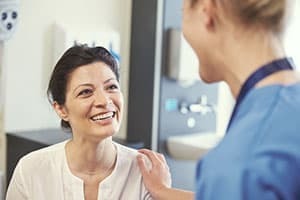 Connecting you to substance abuse treatment programs once you complete detox. Many differences exist between detox programs as they can occur in many settings with various levels of care. Generally, detox programs are separated into two categories: medically supervised detox and social detox. Medically supervised detox programs offer treatment that is more intense and restrictive. They are staffed by a treatment team consisting of medical and mental health professionals. Offer a safe, secure location to detox. Provide food and water to aid physical needs. Assess and manage mental health concerns as they arise. Give recommendations for comprehensive addiction treatment. Opioids like heroin or prescription pain medications. Sedatives like benzodiazepines and barbiturates. This recommendation is due to the potentially life-threatening effects that withdrawal can trigger. The same is not true for DXM withdrawal, so most people will be adequately served in a social detox setting unless there are extenuating circumstances. Use can end immediately without great risk as long as supervision is available. Detoxing from DXM alone would still not be advisable, though. DXM detox is a more streamlined process than others because there will be no need for a taper from the medication, a switch to another substance, or use of medication to treat withdrawal symptoms. Use can end immediately without great risk as long as supervision is available. Detoxing from DXM alone would still not be advisable, though. Depending on dextromethorphan withdrawal symptoms, some may require a short period of inpatient evaluation while others can maintain an outpatient level of care that permits them to receive detox services during the day and return home in the evening. DXM detox and treatment programs exist, but they will be imbedded within facilities that treat a greater range of substance abuse. The most effective treatment options provide safety and support during the detox process as well as connection to additional services when detoxification has ended. Since there is not an abundance of information regarding DXM-specific detox and treatment, it can be challenging to gain an appropriate understanding of the situation. If you are interested in learning more about DXM detox and treatment options, you can search our directory for programs that may be appropriate for you. National Institute on Drug Abuse. (2014). Cough and Cold Medicine Abuse. Drug Enforcement Administration. (2014). Dextromethorphan. Center for Substance Abuse Research. (2013). Dextromethorphan (DXM). Mutschler, J., Koopmann, A., Grosshans, M., Hermann, D., Mann, K., & Kiefer, F. (2010). Dextromethorphan Withdrawal and Dependence Syndrome. Deutsches Arzteblatt International, 107 (30), 537-540.